Rachid Deriche, directeur de recherche Inria, vient d’être nommé EURASIP Fellow 2019. La distinction sera officiellement remise lors de la cérémonie d’ouverture et de remise des prix à ‘EUSIPCO 2019 , qui se tiendra à la Corogne (Espagne) du 2 au 6 septembre 2019. Depuis 2007, l’Association européenne pour le traitement du signal (EURASIP) élit chaque année un groupe restreint de quatre chercheurs maximum au rang de EURASIP Fellow . Sur quatre récompenses, deux ont été attribuées aux chercheurs Inria (R. Deriche & J. Zerubia). Cette distinction a pour objectif de saluer des réalisations exceptionnelles dans le domaine du traitement du signal. Une distinction prestigieuse qui vient récompenser ses travaux pour sa contribution en imagerie computationnelle du cerveau. Jury members : Reviewer : Olivier Coulon, Research Director, CNRS, Aix-Marseille University – Michel Thiebaut de Schotten, Research Director, CNRS, ICM, Paris. Examiner: Bertrand Thirion, Research Director, Inria Saclay IdF – Ragini Verma, Professor, SBIA, University of Pennsylvania. December 11, 2018 Nathalie Gayraud defended her PhD on “Adaptive Machine Learning Methods for Event Related Potential-Based Brain Computer Interfaces”. Supervisor Maureen Clerc. It will address some mathematical theories involved in classifying brain signals (Riemannian geometry, optimal transport),and will also cover clinical applications (stroke, amyotrophic lateral sclerosis). – Moritz Grosse-Wentrup, University of Munich: Brain-Computer Interfacing in Late-Stage Amyotrophic Lateral Sclerosis. researchers interested in structural and functional brain connectivities via multi imaging modalities including diffusion MRI, functional MRI, MEG, and EEG. to poster presentations from participants. and meet the invited experts and leading researchers spearheading the field. Have a look at the program for more details and please note that a particular effort has been paid to welcome you to participate by offering an affordable registration package including admission to all seminars, all lunches and refreshments, and a wine reception and formal dinner. 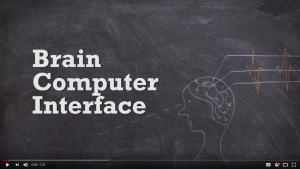 This Winter School & Workshop is part of the ERC Advanced grant for the project CoBCoM “Computational Brain Connectivity Mapping” P.I Rachid Deriche – Project ID: 694665-Funded under: H2020-EU.1.1. – EXCELLENT SCIENCE – European Research Council (ERC). Juin 13, 2017 Kai DANG defended his PhD : Electrical conduction models for cochlear implant electrodes. Examiners : Valérie Louis-Dorr Prof. CRAN-Campus Sciences, France ; Macherey Olivier Dr. CNRS Marseille, France ; David Guiraud Prof. Inria Camin, France. May 30, 2017 Brahim Belaoucha defended his PhD : Using diffusion MR information to reconstruct networks of brain activations from MEG and EEG measurements. Examiners : Pr. Rachid Deriche, Inria SAM, France ; Dr. Alexandre Gramfort Inria, France ; Pr. Jean-Marc Lina ETS Université McGill, Canada ; Dr. Gloria Menegaz Université de Vérone, Italie. March 31, 2017 Marco Pizzolato defended his PhD “Computational Diffusion & Perfusion MRI in Brain Imaging”.